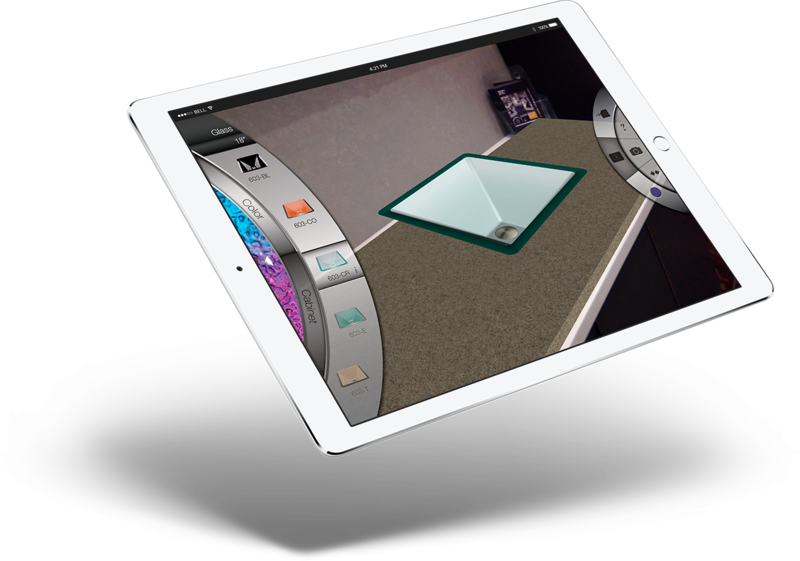 The augmented-reality app, Solera Vision, created by Solera Sinks, utilizes breakthrough technology to create a distinctive, interactive program that is simple to use. 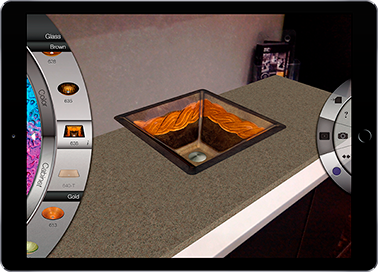 The Solera Vision app allows customers to view any Solera sink in their own home setting before making a purchase. Online shopping for the perfect sink has never been easier, nor given customers a more accurate vision of how a product will look in their home environment. 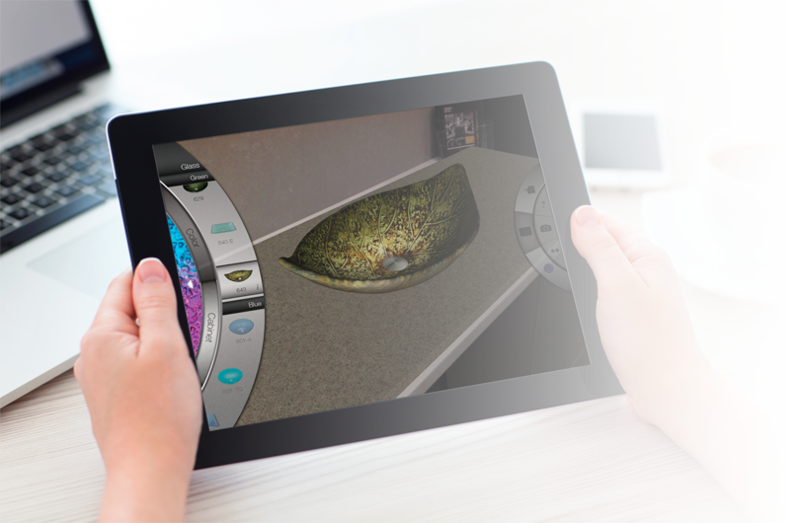 The Solera Vision app works on an iPad or any Android tablet in conjunction with a printable, augmented-reality target that is placed in the anticipated location of the new product. Once the customer chooses a sink from the Solera catalog, and a countertop from the Solera library, he will be prompted to point the device’s camera at the target. As the app senses the target, it will display the chosen product and countertop on screen in the user’s own home atmosphere. Allows your customers to view high quality models of our sinks in their homes. Always up-to-date with the latest versions of our products. Wide variety of countertops and colors. Easy to use interface.